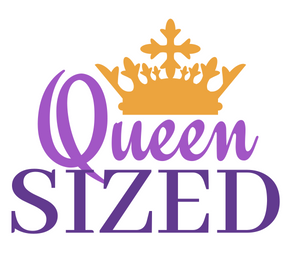 Oh I don’t even know what to say, but I’m excited about two years of Queensized! This blogging thing has been a journey with many ups and downs, but I can’t say it hasn’t been worth it. Since I’ve started this blog and really began focusing on doing something that I loved, it has brought me quite a few opportunities that I hadn’t quite expected. Not only has it gave me a chance to really connect with like minded Queens, it has helped advance my career in writing. I’m so behind with posting on the blog, but I have to say it’s been for a reason. I’ve just been out here spreading my wings and trying different things to really gain a larger following for Queensized. I’ve been so focused on building my resume that I kind of left Queensized in the dirt, but I’ll be back with some heat in a few. During my hiatus, I was presented with the opportunity to write for a local magazine. When I received the message I was honestly shocked. I was surprised that someone even noticed what I’d been doing with Queensized and actually liked it enough to want me to be apart of their team. Aside for the weekly posts with the magazine, I’ve still been editing for others and I’m currently finishing up my fourth book. The fourth book with my name printed as an editor. That feeling of seeing your name in print never gets old. I’ve really been booked, busy, and blessed this year and I owe it all to Queensized and all of the people who love and support me. Shout out to everyone! I love and appreciate everyone that has read, liked, and shared my blog. The support has been real and I’m forever grateful for it. Previous PostIt’s not Monday. . . It’s you. Next PostLet’s spend smart for the holidays! Happy 2 years!!!! It’s always great to hit a milestone like this. Thanks Queen! I appreciate it. Thanks Deja 💜 love you for always supporting me! Congratulations on two years and all of the amazing things that you are accomplishing! That’s so exciting. I look forward to seeing what Queensized’s future holds. Thanks Chaz! Happy holidays to you and your family.